Both live attenuated vaccines and inactivated vaccines use a particular germ to help your child’s body develop immunity to that germ. The key difference between them is that a live attenuated vaccine contains an active (but weak) germ or germ component, whereas inactivated vaccines contain an inactivated germ or germ component. What is an inactivated vaccine and what does this mean for your child? Inactivated vaccines are vaccines that do not contain live germs or active components of the germ. They may include an inactivated version of the germ, toxins produced by the germ or germ components. Even though they are inactive, they are still effective in alerting your child’s immune system to the presence of the germ/germ component. They cannot infect your child with the relevant disease. In live attenuated vaccines, there is a minute risk that the weakened germ can mutate to become virulent (strong) again and infect the host. This is called reversion. As inactivated vaccines do not contain live germs, they carry no risk of reversion. They can be given to immunocompromised hosts. Immunocompromised hosts are people with particularly weak immune systems, such as those with HIV or those being treated with chemotherapy. As inactivated vaccines can’t attack any part of the body, they are safe for people with immunity issues. They are easier to transport and store as they can be freeze dried and still remain effective. Some inactivated vaccines are less effective in providing immune protection than the live version. With some diseases, this means that multiple doses of an inactivated vaccine are required. In others, the inactive vaccines do not provide enough protection and live attenuated vaccines are given instead. It can be costly to inactivate some germs/germ components. What is a live attenuated vaccine and what does this mean for your child? A live attenuated vaccine contains a weaker version of the germ that would normally cause your child to get sick. This prepares their immune system for future encounters with the naturally occuring, more aggressive germ. Even though they are live, they are weakened enough so that they can still trigger a strong immune response, which results in your child gaining immunity to that particular germ, without causing disease in the majority of healthy people. Live vaccines can provide a strong and long lasting immune response as they are similar to the natural germ. Your child’s immune system will therefore be more prepared to fight off the natural germ if they come in to contact with it in the community. Due to the strong immune response triggered by live vaccines, less doses of the vaccine are needed and boosters are not usually required. Live vaccines are safe in the majority of healthy children and usually do not cause illness. live vaccines must be kept cold, which can make transport of vaccines difficult, especially in remote communities. Live vaccines cannot be administered to immunocompromised people, due to the risk of serious illness developing. 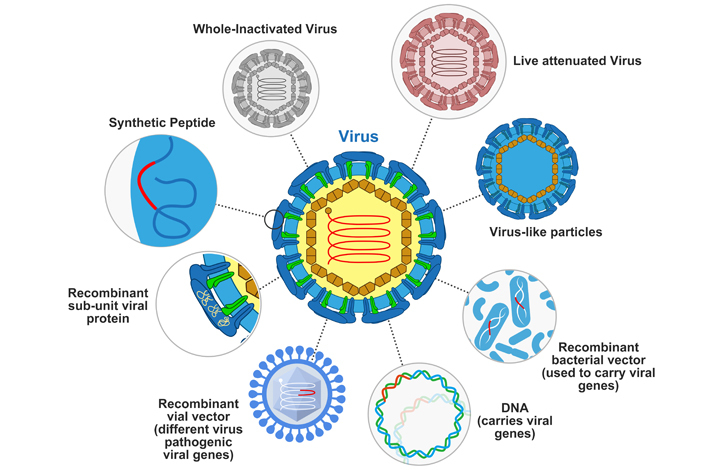 Even though there is careful selection of viral and bacterial strains used in live vaccinations, there is still a small risk of reversion to a more virulent (strong) strain of the germ. This means that there is a chance that a genetic mutation could occur in the weakened germ used in the vaccine, resulting in a germ that is more contagious and virulent (strong). People with impaired immunity, taking immunosuppressant medications, and pregnant women SHOULD NOT receive live vaccines. People with a major illness or fever above 38.5 degrees should postpone vaccinations until after they have recovered as vaccines may increase discomfort in these individuals (those with a minor illness and temperature less than 38.5 can still be safely vaccinated). Some vaccines, such as yellow fever, rabies and the flu vaccine may contain egg albumin. In those with allergies to eggs, vaccines should only be given after seeking specialist immunisation advice. People with a previous anaphylactic reaction to a vaccine or vaccine component SHOULD NOT receive that vaccine.